Onlookers thought for a moment that they had North Korean leader Kim Jong Un out and about with them on the streets of Hong Kong. Visit the streets of Hong Kong – and if you’re lucky – you might come across North Korean leader Kim Jong Un and Philippine President Rodrigo Duterte walking been out and about with you, sharing laughs, posing for pictures and enjoying fried chicken dinners. Look closely, however, and you might notice that the pair hasn’t actually come out of their respective countries to win over foreign hearts. Instead, the two persons you’d see on the streets of Hong Kong are, in fact, a couple of impersonators. 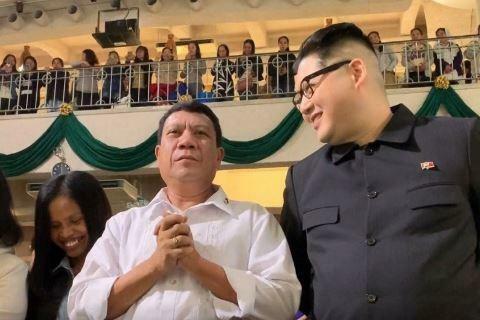 While the man who impersonates Mr. Duterte is recognized has the rather weird real name of Crescencio Extreme, the more popular of the duo is Howard X – the lookalike of Mr. Kim. When Kim Jong Un replaced his father Kim Jong Il in 2011, Howard X was just another ordinary guy in Hong Kong. He had grown up in Australia and had traveled to Hong Kong in search of a job. His moment of fame came on 2012’s April Fool’s Day when Howard posted pictures of himself as Kim Jong Un on social media. Six years on, and he is still reaping the benefits that come with stardom. So popular has he become that Howard X says that he earns up to £10,000 a day for jobs ranging from opening shopping malls, starring in video games and entertaining guests at the birthday parties of billionaires. He is fearless, too, as Howard infuriated the real Kim Jong Un by appearing on at least three different occasions of 2018 Winter Olympics where the North Korean delegation was also in attendance. As can be expected, he was thrown out of the Hockey Stadium for being a nuisance to the guests. However, with the real Kim Jong Un showing no signs of leaving his throne any soon, Howard X is confident that he’d continue to get high paying jobs in the foreseeable future.